The Department of State held a program for the Strong Cities Network International Visitors Leadership Program for Municipal Leaders and Countering Violence Extremism Experts. 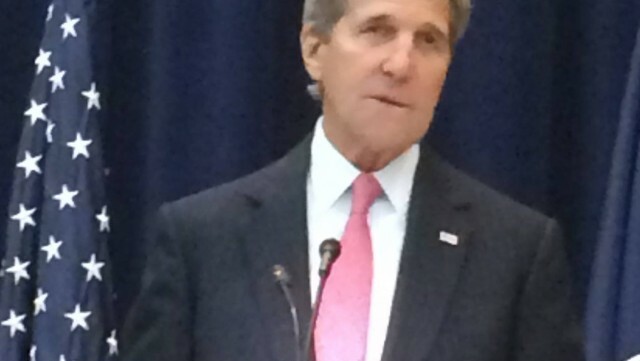 The Montgomery County Model for creating social cohesion and pubic safety was featured following an inspiring keynote address by Secretary of State, John Kerry, before an International Strong Cities Network meeting at the State Department. Our team included Dr. Hedieh Mirahmadi, Ms. Saida Hentati, Police Chief Russ Hamill and Rev. Mansfield Kaseman. Rev. Kaseman was also part of a panel including Qamar-ul Huda, and Jacob DerBlom addressing Religious Community Engagement. Montgomery County is part of the Strong Cities movement centered in London. Cities around the world are realizing that answers to hate and violence best come from faith communities working at the local level. Violent extremism cannot be solved with bombs and arrests, because its source is found in social and economic inequities, and ethnic and religious prejudice, which war exacerbates.